Feel is a part of many sports: hockey, basketball, baseball, and especially golf, to name a few. Also common to each sport is the importance of the right mechanics. When both are executed at a high level, then greatness can be achieved. There are times, though, that the right feel outweighs the importance of mechanics. Recently at The Open Championship at Royal Troon, Phil Mickelson was in contention from day one. He was driving it well, hitting good iron shots, putting and scrambling like only Phil can. During the last round in the now-famous duel with Henrik Stenson, Mickelson did something very few golfers would ever do, especially during in the hunt of the last round of a major. Phil normally putts using a “saw”-type grip. He moves his lower hand into the “saw” position prior to stroking his putt. During the last round of the tournament, I noticed Phil using two different grips: a normal, or convention grip, and also the “saw” grip. At first, I thought maybe he was using the normal grip on longer putts only, but during the middle of the round, he made a 12-foot putt using the normal grip. Going back and forth between grips might sound odd to some people, but Phil was very in-tune to his feel that he knew was working. 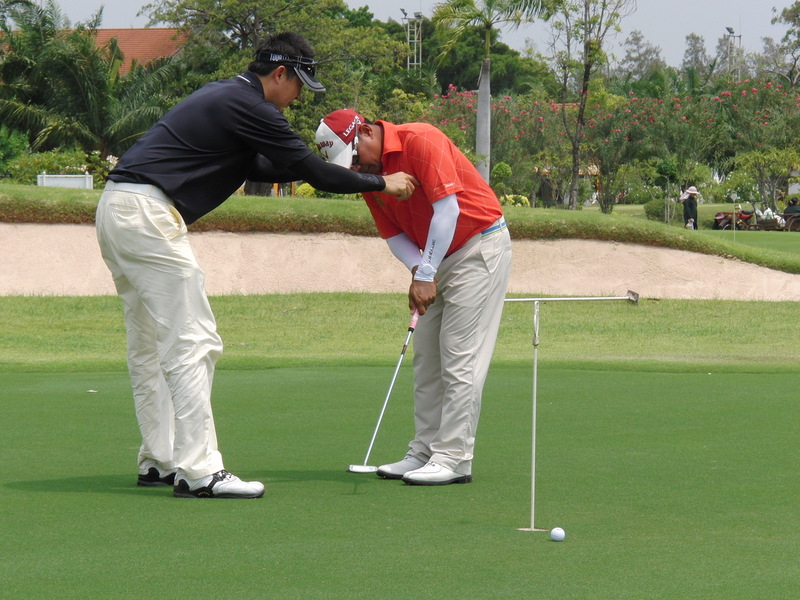 If his practice stroke felt okay with a normal grip, then he stayed with it; if not, he reverted to the “saw” approach. Understanding that his feel was spot-on allowed him to play a great round. Unfortunately for Phil, he didn’t win the tournament, but it wasn’t from poor play. Stenson played better that day. Teaching your students to trust their feel is an important part of teaching. We need to show our students that there is more than swing mechanics. Golf is a game of feel.